Want to get promoted? Here is a tip! Greetings fellow trackers! Max here. 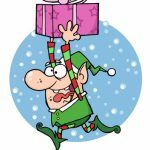 There is a new protocol for any elf seeking a new job. Pay very close attention. When you apply for a job there is a question on the application that asks how well you follow direction. Below that question is a statement that says “After you click submit below please open a new support ticket telling us the job you just applied for”. This is a screening device — a test! — to see if you can follow direction. If you want a promotion, I suggest you follow this step. I heard a rumor that they are working on a lot of elf promotions to be announced this weekend. (And the early elf always gets the job). Trust me on this. 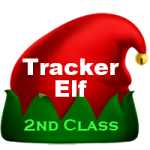 SantaTrackers.net Site Support Elf at the Kringle Inc.
Elf Max is known as The Miracle Worker. Max has worked in computer systems at the North Pole since the early 1970s. He frequently is the elf people turn to in order to make technology work. 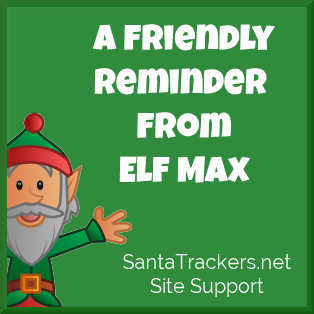 Max now works site support exclusively for SantaTrackers.net.